Maya is a wonderful application. But it lacks some features such as Architectural pre-sets, Mograph modules etc. as compared to other popular 3d application. After the long wait Maya have the Architecture and design material pre-sets with in it. It is known as Mia material and mia material X. 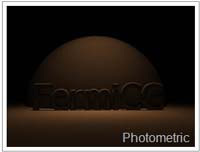 These materials include nice pre-set for Chrome, Rubber, physical glass, copper etc. I think you already explored it. (If not, enable Mental Ray in Maya and create a new mia material and click on the pre-set tab found in attribute editor.) But I am not going to describe about those pre-sets. But some other pre-sets, which I have found very useful in my Motion Graphics career. With these pre-sets You can now use Maya as architecture design software also. Fast Mental Ray is an excellent plugin created by Explore-3d .It is a collection of pre-sets for materials, lights, and camera and render settings. The material pre-sets include Gold, Plexi, plastic, Inox, Glass etc. 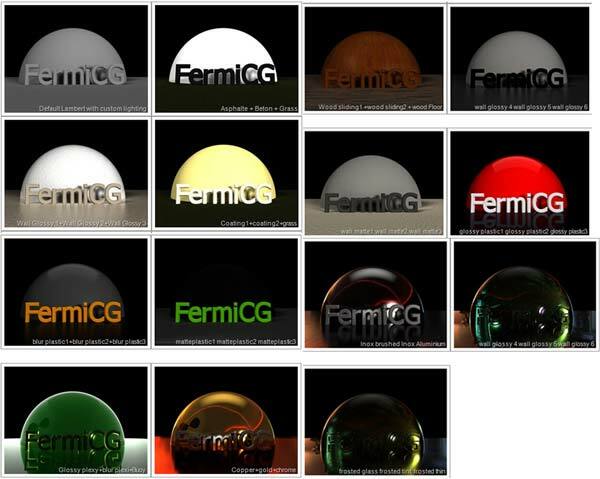 which are very useful in Motion Graphics and product rendering. Download the installation/ zip file. The latest version found in the website is for Maya 2011. If you need it to be available in Maya 2012 and later download the zip file. And follow the instructions. I have modified the set up instructions for Maya 2012. Copy the prefs folder and paste it in Documents\Maya\2012 and merge the content. Do not replace. Start Maya and you will get a new shelf named Fast Mental Ray. Open the shelf and click on the icon. Explore the different pre-sets in Fast Mental Ray. It includes sun Direction and Metro. Sun direction is pretty similar to sun light in 3ds Max which have the entire attributes to set the geographical and time value. You can set the city, latitude, month, ate, time etc. and the sun light will behave accordingly. In pre-sets tab there are quick pre-set for SD, HD, Full HD, Panavision and different print pre-sets. And quick selection for GI and FG. It includes basic settings for camera. Pretty handy for quick renders. It is a tab for creating interior and exterior lightings with area light. Simple pre-set lights with geometry for creating quick interior lighting. Very handy set of material pre-set and shaders. Also include gamma correction node. Shaders include miscellaneous, wood, wall, metal, plastic, glass, frosted glass etc. with some pre-sets in it. The metal and plastic pre-sets are very useful when doing product render and motion graphics. Shaders are created by clicking the icons. But you have to manually assign it to the objects. These are the material present in the shaders slot. See the renders below with each material applied. I have used my own lighting technique. There is no UV mapping applied.Some of them applied with HDR map for reflection. Valen Wagner created this collection pre-sets for mia material x and mia material x passes. He used original 3ds Max mia material pre-set (architectural and design) and implemented in Maya. 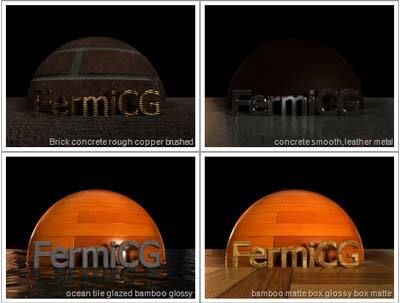 Due to copyright issue he supplies the alternative textures against 3ds Max original textures. But you can use any high quality maps instead. This is another set of mia material pre-set originally compiled from 3d Studio Max’s Architecture and Design pre-set. Due to automatic conversion the compiled Maya Shaders lost its connection to the original textures and utilities. those slots are represented by black colours. So this pre-set cannot be considered as production ready. You have to find the empty slots and manually assign the correct textures and utilities unless you wont get similar result compared to 3ds Max. If you have enough time and 3ds Max available, apply the correct textures in the correct slots. I think you probably heard about this plug in. If not, it is a collection of shaders with tile able texture originally supplied with Maya’s installation disc till version 8.5. The shader pack is originally produced and distributed by Alias Wavefront, the real makers of Maya. After Autodesk bought Maya this plug in also disappeared. But you can get it by searching in Google. Shader library is not a mental ray material pre-set. Instead it is Maya,s default shader (Blinn, Lambert,Phong etc.). If you know more material and shader preset please share it as comments. I know this a very old post but any chance of an update for Maya 2016 on OSX? Hi, thanks for sharing. I would like to recommend you this great website https://3d-kstudio.com/. You can find different plugins and scripts for 3ds max there. Check it out if you're interested.